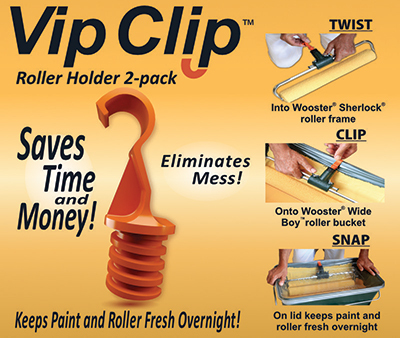 VIP Clip(TM) Roller Holder 2-pack. Keeps paint and roller fresh overnight. Shipping $2.95.